The Nutty Buddy Collective is a ramp-shackle, squash-bucklin’ crew of tree croppers, doing a whole lotta nuttin’. Bill Whipple began his agricultural career at the age of 18 picking apples in Washington state and later picked 5 subsequent seasons. In 1983 he earned a one year degree in agriculture from Sterling College and homesteaded in West Virginia where he has been commercially growing chemical free pears for 28 years. 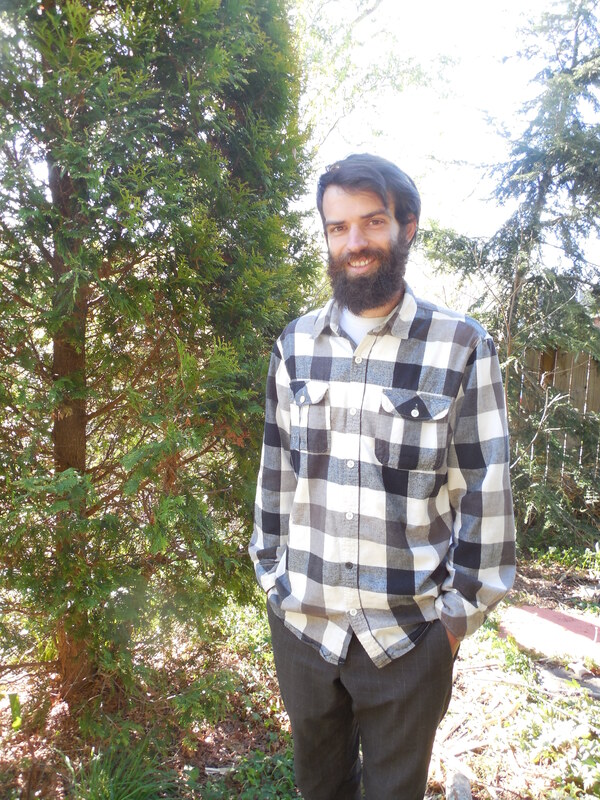 From Barkslip’s Fruit School he founded the Buncombe Fruit Nut club whose primary objective is to advocate and rally support for for community orchards in public parks. He implemented two edible parks- one at West Asheville Park and the other in North Asheville at the “Flint/ Magnolia park”, and has helped maintain all the Edible Parks in Asheville for the last 12 years. After attending a Northern Nut Grower’s association national meeting he became a nut passionado and from all these confluences the Nutty Buddy Collective has formed. 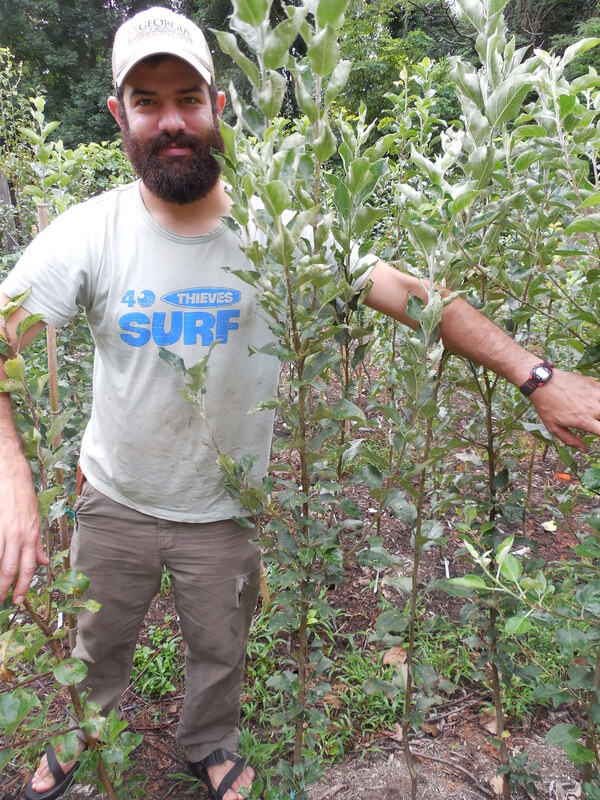 He leads Barkslip’s Fruit School, teaching the public how to care for fruit and nut trees. He also offers his services to the private sector as a consultant and lecturer, using his 20 years of agricultural experience and permaculture training to help people live more abundantly and harmoniously with their environment. 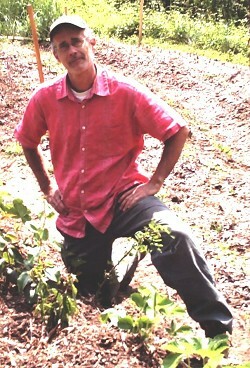 Tom Celona has been helping organize care of public edible plantings in Asheville since 2010. He loves growing food producing trees, sharing what he’s learned with friends and re-building a robust local food infrastructure. if you ever want to make him late to his next appointment, just start talking about some long lost tree you loved the fruit or nuts from, he’ll be stuck. Greg Mosser grew up in his family’s orchard and garden and surrounding countryside and later earned a B.S. in Biology in the pursuit of spending more time in the woods. He got the bug to study perennial foodcrops and systems in about 2005 and has been involved with the public plantings in Asheville since 2010. He’s a big fan of perennial vegetables, root and tuber crops of all kinds, and tree crops. 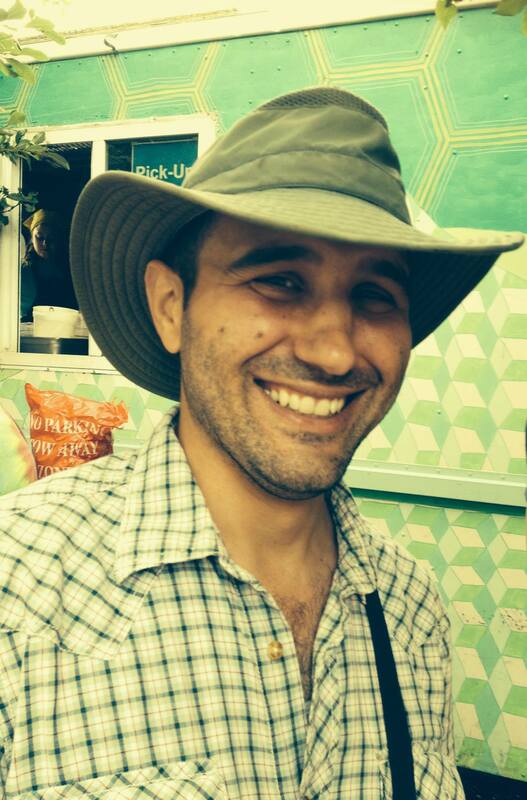 Ramin Sadeghian spent his childhood summers in Iran where perennial foods were a way of life. The seasonal food system was embedded into culture through the kitchen. Now, he plants trees with the buddies and vends the crop at tailgate markets in an effort to connect people with our trees here in WNC.